To report a power outage, call 573-592-3170 Monday through Friday from 7:30 a.m. to 4:00 p.m. If an outage occurs after normal working hours, weekends or holidays, call 573-592-3180. Which is an agency of the U.S. Department of Energy. The agency is responsible for the marketing of hydroelectric power produced at 23 U.S. Army Corps of Engineers multipurpose dams. By law, the power and associated energy are marketed to publicly held entities such as rural electric cooperatives and municipal utilities. Over 100 of these entities ultimately serve over 7 million end use customers. Sikeston Missouri’s Board of Municipal Utilities operates a 235 MW coal-fired steam electric power plant. 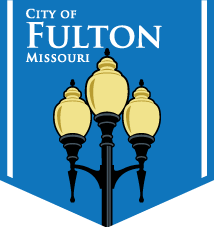 The City of Fulton has a contract with the City of Sikeston to purchase 11 MW of power for the citizens of Fulton. The Prairie State Energy Campus is a technologically advanced electric generation facility, 95-percent owned by eight non-profit utilities, including the City of Fulton, that are committed to providing clean, reliable and affordable base-load power to hundreds of local communities in the Midwest and Mid-Atlantic regions. Its combined design efficiencies mean Prairie State will significantly improve our industry’s environmental profile by replacing existing, less-efficient power plants. Purchasing power from several sources as well as having peaking or emergency generation at the Power Plant gives the City of Fulton a diverse portfolio of energy resources. The City of Fulton Power Plant is staffed 24 hours a day 7 days a week. In addition to monitoring and scheduling electrical power for the City, the power plant control room also serves as the emergency center for the City after normal working hours, weekends and holidays. For any emergency call 573-592-3180.